Aishwarya Rai Bachchan's Jazbaa trailer is coming tomorrow! Aishwarya Rai Bachchan's Jazbaa trailer is coming tomorrow! 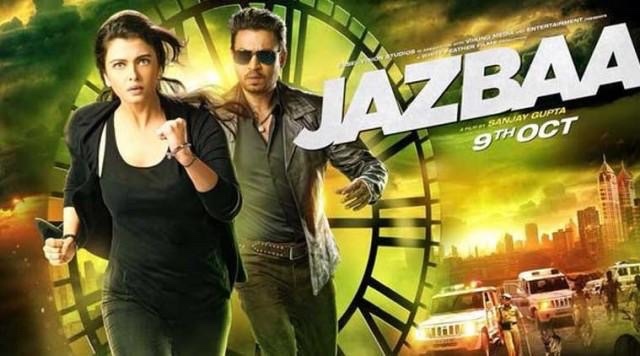 Home > news > Aishwarya Rai Bachchan's Jazbaa trailer is coming tomorrow! After a long gap, Aishwarya Rai is all set to shake the Big Screen! After getting married and having kids, it's a tough task to appear in films for female actors! Managing shooting dates, home & little kids isn't that easy. But, the one who manages this all is called "Super Mom" "Super Women" or "Super Star". Aishwarya has worked very hard for her role in Jazbaa. Earlier we reported that Aishwarya and little Aaradhya fallen sick, but still Aish managed everything and worked hard for the film. It's not just first time, she has worked hard for her previous films too. Fans are eagerly waiting for the film. The wait is not over but still we will get something tomorrow, which will excite us more and more! Yeah, and that is trailer of film, the trailer of Jazbaa will be released tomorrow (25th August) on 1pm . Jazbaa is an upcoming Action-Drama film directed by Sanjay Gupta. Film stars Aishwarya Rai Bachchan in lead role with Irrfan Khan and Shabana Azmi in supporting roles. The film is scheduled to release this October 9th.